Japan during the early twentieth century, Alexander Lamont’s collections of furniture, lighting and accessories are an expression of his dedication to meticulous workmanship, rare materials and an aesthetic taste refined by a life lived between East and West. 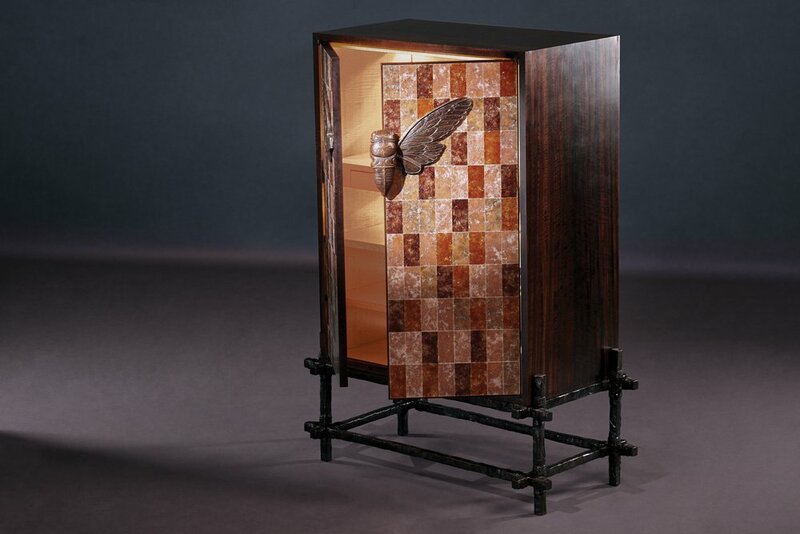 Long forgotten, hard-won and highly prized skills are evident on every piece, whether surfaced by translucent raw shagreen, slivers of straw marquetry, rich black natural lacquer or hand patinated bronze. By reviving the precious traditions of the past in his own workshops and applying the luxuries of time and skill to elegant and contemporary designs, Lamont creates elements of vitality that dwell in the margin between art and furniture. Alexander Lamont is exclusively available in Malaysia and Singapore at Tatum Company.